Now that the weather has warmed up the hardening off process has begun. 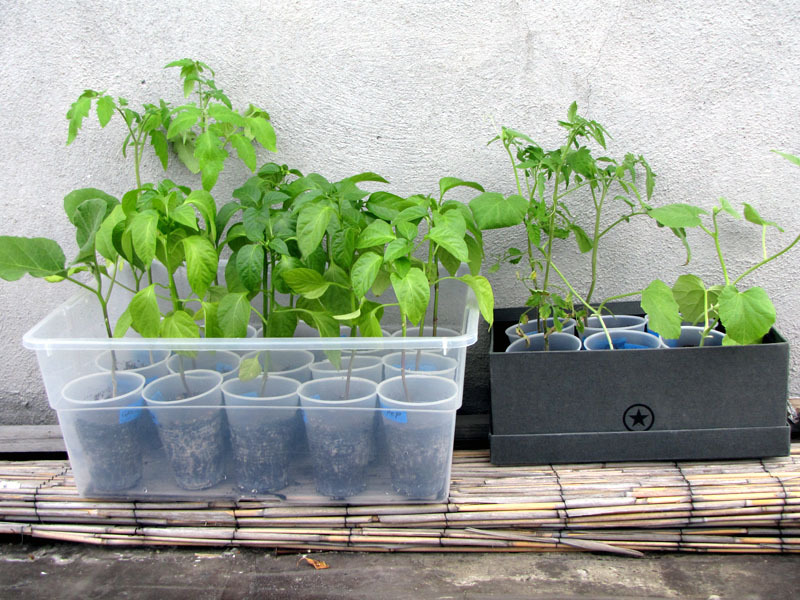 Whether homegrown or purchased, you need to gradually acclimate transplants to the rigors of outdoor life. 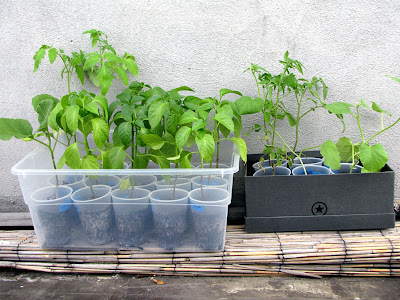 Move them outside for a few hours each day as transplanting time approaches. Gradually increase their time outside, and decrease their water. When conditions are right for transplanting, remember that calm, overcast days are best for the plant. Transplant late in the day if possible. 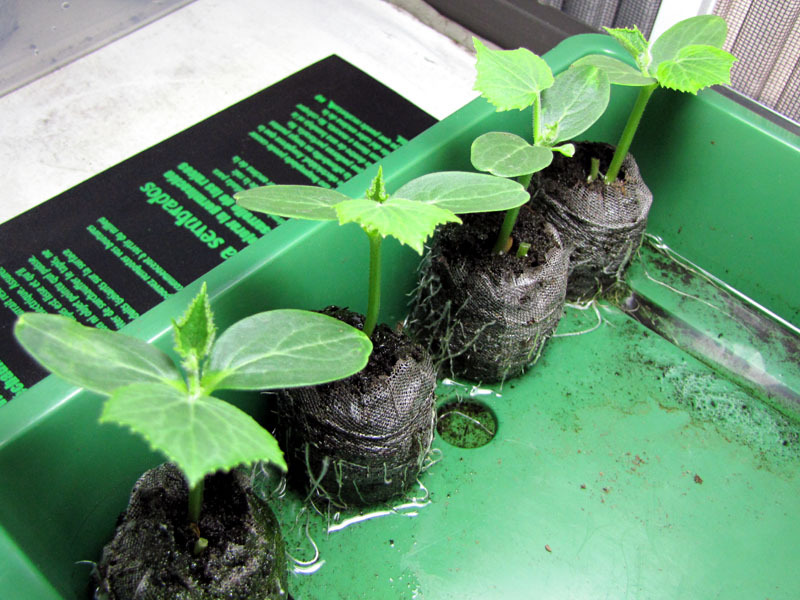 Immediately water thoroughly, and don't let the soil dry out while the transplants adjust. 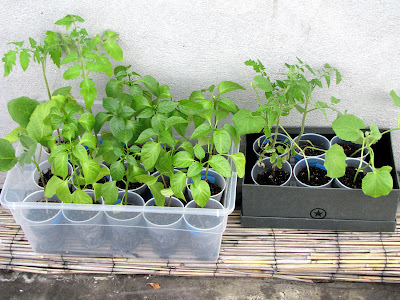 I started leaving the vegetable plants outside in a sheltered area of the rooftop last weekend. That first day I left them out for about 2 hours and I've been steadily increasing the time they stay on the rooftop. The plan is to transfer them to their permanent container homes by Saturday or Sunday. I would wait a little bit longer, however, for an overcast day. The only thing left in the dome are the cucumber seedlings. They all sprouted so I achieved 100% germination rate this season! This number will ultimately be meaningless by the end of summer, but it made me happy for now. As a plus I have extras of everything to give away so if anybody wants them just let me know.